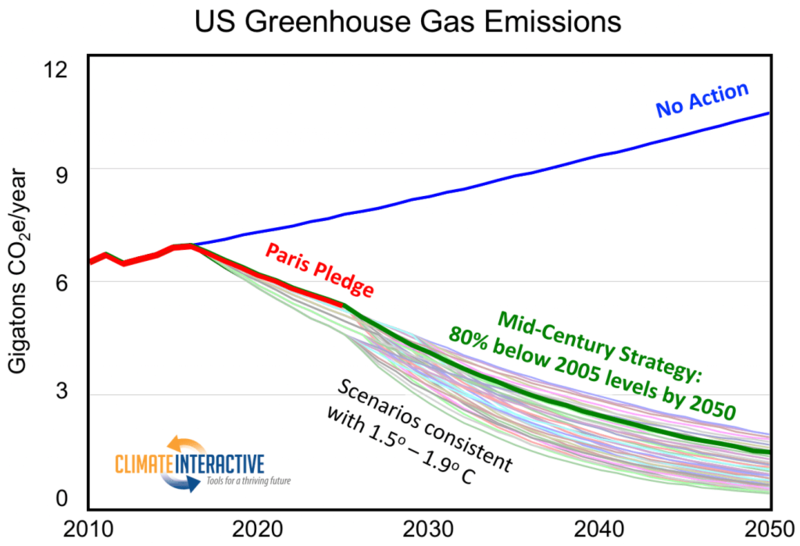 Climate Interactive and MIT Sloan used the C-ROADS climate policy model to simulate hundreds of scenarios with combinations of mid-century strategies for different nations. 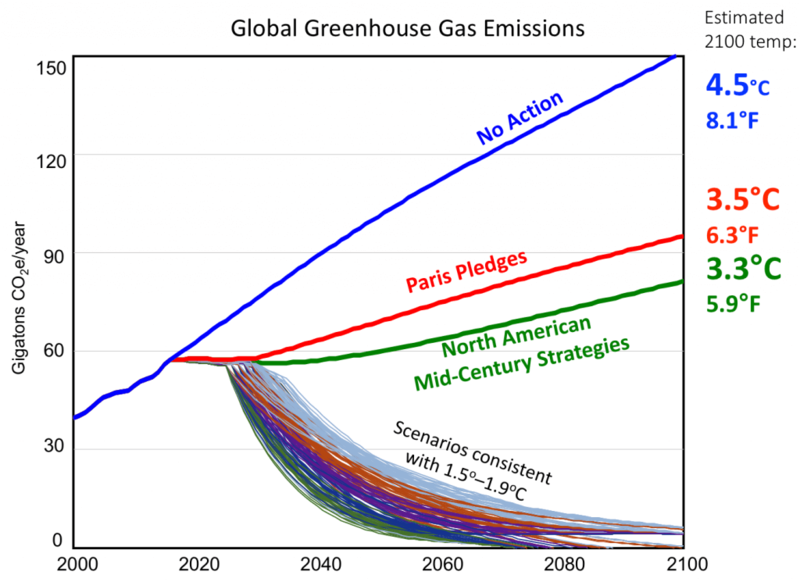 We identified more than 600 that succeed in limiting expected warming to no more than 2°C by 2100. 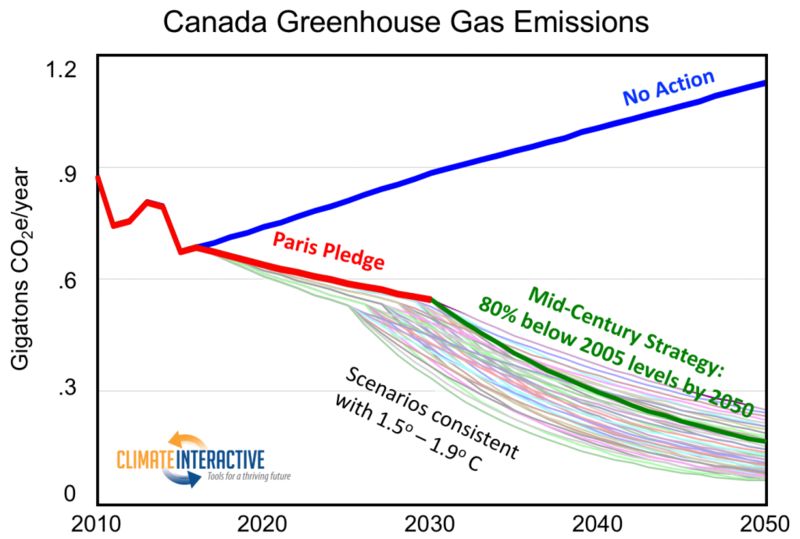 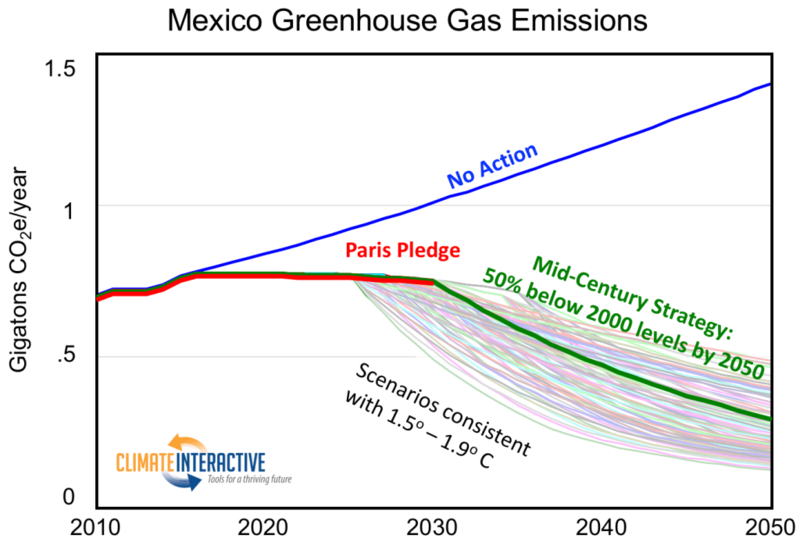 This analysis provides pathways that countries could follow to ensure their long-term emissions trajectory is consistent with the Paris Agreement goal to limit warming to well below 2°C and aim for 1.5°C.